This is one of the most outrageous, exotic, dramatic and unique mint errors that I have ever encountered in 25 years. 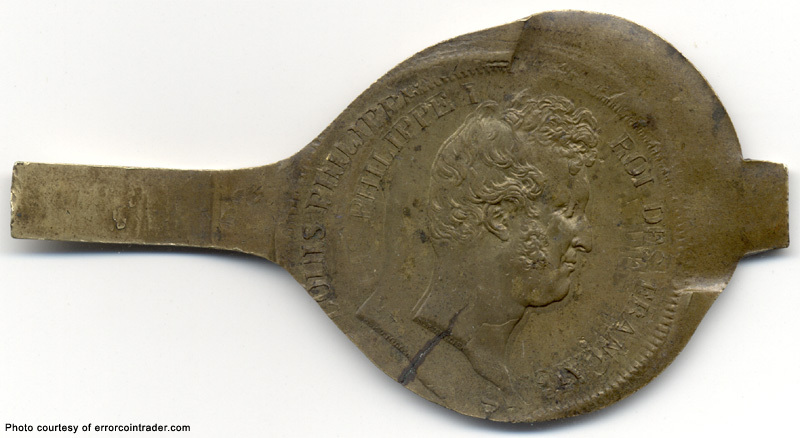 It's a 1831 French 5 Francs. It's DOUBLE STRUCK on a BRASS spoon! Most of the detail from both sides of the strike shows. Part of the handle from the spoon is still attached. 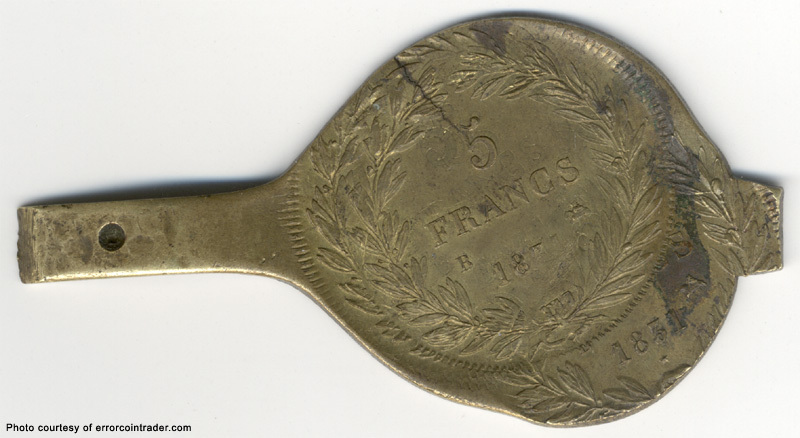 In those days (1830's) wooden handles were attached to a notch on brass spoons just like this one. It weighs 27.8 grams. It would be fascinating to know why this was struck. Was it a test strike with whatever was available at their fingertips (a spoon)? Was it made "after hours" by a very creative Mint Employee with extra time on his hands?? We will never know!! I wanted to share this wild piece with all of the viewers of minterrornews.com.